Award-winning documentarian Alex Gibney (Mea Maxima Culpa: Silence in the House of God) reopens the case of the unresolved Loughinisland massacre in Northern Ireland. 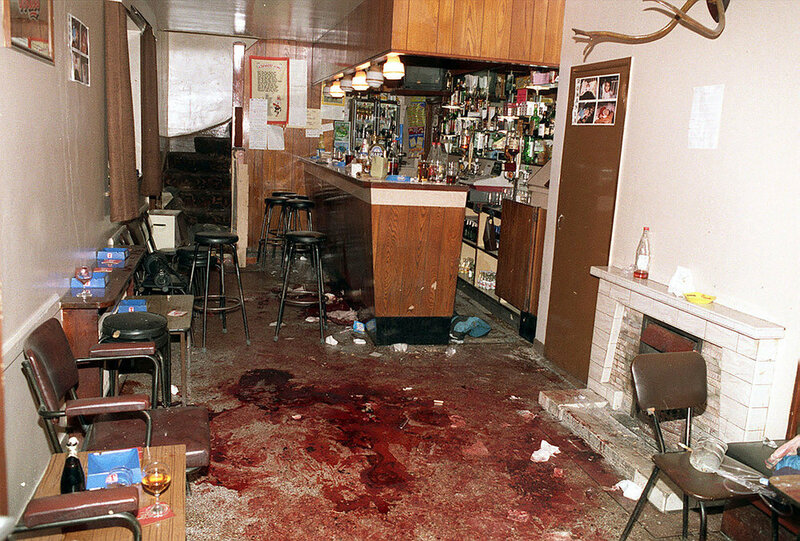 In 1994, six men were gunned down and five wounded in a pub in the small village of Loughinisland while watching Ireland’s landmark victory over Italy in the World Cup. Despite a police investigation and subsequent re-openings of the case, no one has ever been charged for the murders. Alex Gibney reopens the original files and the reports that followed, conducting an exhaustive and fascinating inquiry and uncovering a shocking case of collusion and cover-up. Including interviews with families of the victims, case investigators and committed journalists, No Stone Unturned is a suspenseful and profoundly effective true crime investigation from the producers of Bobby Sands: 66 Days. Our screening of No Stone Unturned is sold out. There will be a rush line. A limited number of tickets may become available shortly before the screening.